WARNING!!! EXTREME EXPLICIT CONTENT!! Not Safe For Anything!! 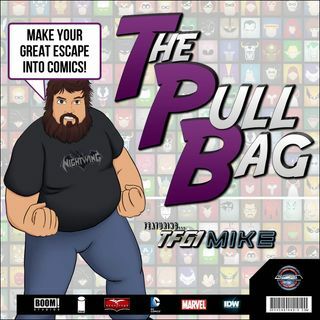 In the 52nd Back Issue Classics The Pull Bag TFG1Mike and Nicole BeatlesDiva HailStorm sit down to review IDW's newest 5 issue miniseries' first issue. HOT DAMN! from Ryan Ferrier and Valentin Ramon. Listen at your own risk, and hear us talk about Teddy Graham's life in hell.